We've looked at a lot of booties on this blog and today is going to be another one of those days. You may think of booties as cold weather shoes, but I love the new cutout options that are perfect for the warming temps! Peep toe, buckles, and cutouts, these booties are ready for dresses, but you don't need the pedicure just yet. Remember C. Wonder? Yeah, the fabulous Brad Goreski brought it back and it's better than ever. Suede perfection. Also comes in fennel or navy. 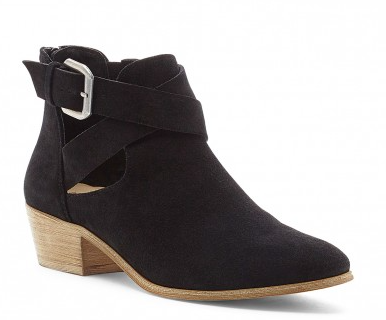 Crisscross buckles in a stacked heel. So comfortable, so stylish. Slip on bootie is taken to a new level with these beauties. 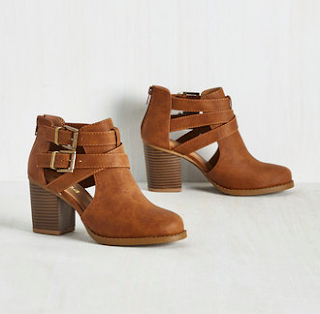 Don't put away your booties for spring, pair them with a sundress or bf jeans. 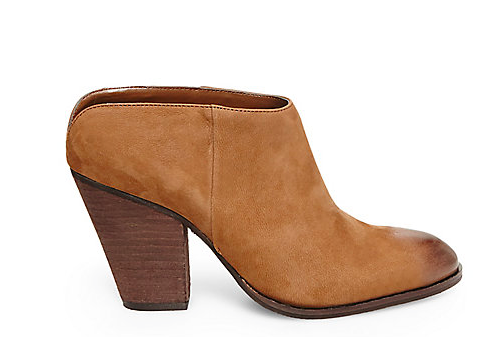 Or try out any of these cutout booties on for size.